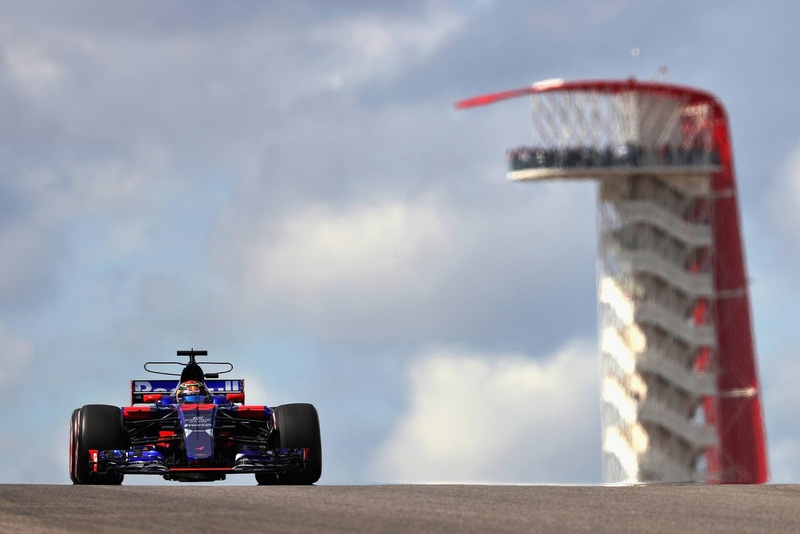 The winds of change howled through the Austin paddock, along with just about every combination of weather possible during the 3 Free Practices, settling on gloriously sunny and dry, the epic backdrop to what has become a much beloved stop on the F1 circus. It was a headline writer's dream once again as not only has AMuS disclosed that Liberty are thinking of a $100 million cap on F1 budgets, along with a monitor to make sure no one is naughty, but the sneaky little corporate types have also not only done a deal with Netflix to carry content (F1 and chill, anyone? ), but are planning their own, live, over-the-top content because, according to Bratches, viewers deserve to be able to watch however and whenever they choose. Be still, my beating heart. 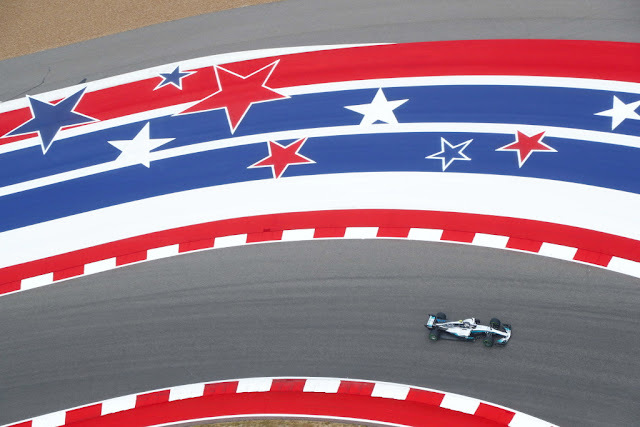 Mercedes and Ferrari seem to be less than pleased with the budget handcuffs (surprise, surprise and if you never watched Gomer Pyle, you won't entirely get it but that's OK) but it would seem to be Pierre Gasly who has to have the winning hand in losing weekends. After being forced to abandon his Toro Rosso ride for COTA to finish out the Super Formula championship for Honda at their home track in Suzuka (who will be providing engines next year for TR) he was looking to console himself with a proper shot at another championship. AT least until the typhoon showed up, and they cancelled the race with Gasly 0.5 points behind. Ouch indeed!! And to their credit, Super Formula showed more sense than certain other series that shall not be named and the cancellation probably not at all related to the fact that the young Japanese driver, Hiroaki Ishiura, will now be champion. 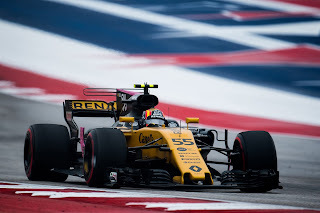 On track Carlos Sainz had been making the most of his new Renault mount, consistently there or thereabouts with his new teammate, and at the same time sticking a fork in whatever chances Palmer might've once had with Williams (somewhere between slim and none). Brendan Hartley managed to finish a respectable P15 without hitting a single thing, whilst Kvyat, you guessed it, managed only 6 laps due to unspecified car problems. Of course, Hartley already faces a grid penalty thanks to inheriting the car Kvyat broke LAST time he went racing and no word yet as to what Kvyat might be looking at. Verstappen, too faces a massive 15 spot penalty for installing a new PU so it will be up to Ricciardo to put the pressure on for RB in the race, though at the end of FP3 it looked to be a bit of a gap from RB to the sharp end. Danny Ric had the unfortunate experience of catching a gust that ran him wide and cost him his shot at a fast lap so all on him, moreso as Verstappen managed to extend his Red Bull until 2020 during the run up to the Grand Prix. The sharp end of FP3 looked rather familiar, with Hamilton edging Vettel (and his new chassis) by just under a tenth, neither driver having a satisfactory Friday despite Lewis topping both sessions, followed by the Finnish duo of Bottas and Raikkonen a more pedestrian several tenths back. Massa continues to fight for his gig, finishing FP3 just a little more than two tenths off Verstappen and bringing a little bit of good news to Williams, which has been sorely lacking in that department lately. Although the duel between Hamilton and Vettel looks to be epic yet again, the reality of the Mercedes qualifying advantage gives Lewis the upper hand, barring the odd errant gust or self-inflicted wound. Green Light!! Kvyat, Wehrlein, Ericsson and Hartley led the way as the track opened for the first qualifying session. It was a slow boil for the rest of the field as they had completed their full warm up lap before there was a hint of action from the rest. By 14:30 the track was getting busy and the wind was picking up. Kvyat was first out the door on a hot lap, a broken suspension having put paid to his FP3 efforts. 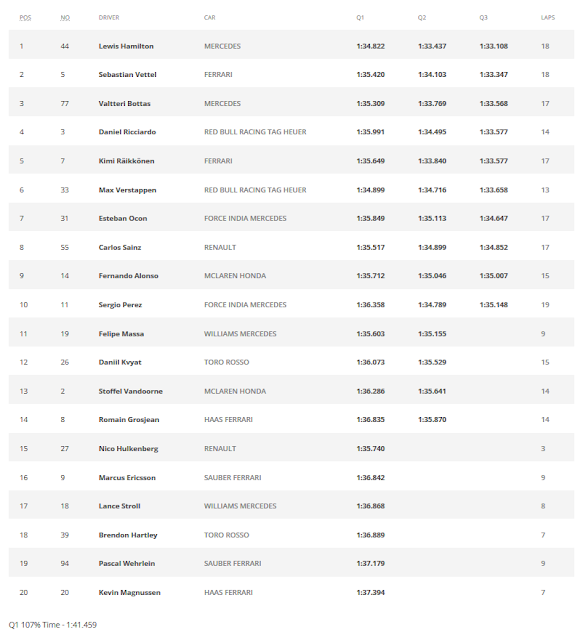 P2 out of the first quartet, which was ruled by Wehrlein as the big boys got it into gear. 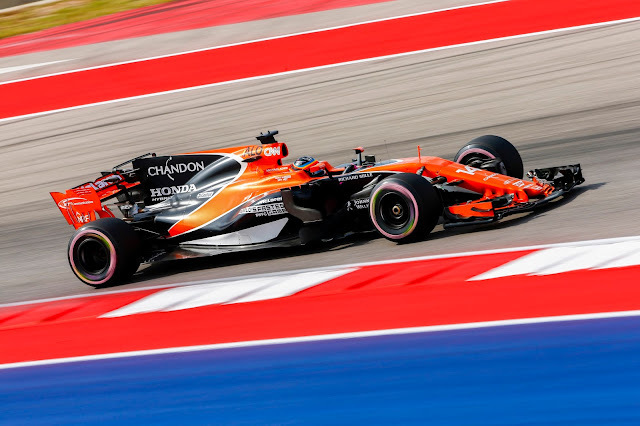 Vandoorne took it to the top with 11 minutes to go as the top teams were using the SuperSoft tyres, as compared to the UltraSofts for the rest of the field. Average effort for Hamilton and it showed, as Bottas was to the top with Vettel slotting roughly a tenth ahead of him. Ocon on the Ultras was P2 as Red Bull came out to play. Ultras for them saw Ricciardo P3 with Verstappen on the way, for the second time. Verstappen had bailed with just under 10 minutes, having gotten thoroughly out of shape with traffic and as he came round for his hot lap, Hamilton was in the midst of cleaning up his mess, going 1:34.822 on the Supers as Verstappen followed him home for P2, 0.077 seconds off, albeit on the Ultras. Lance Stroll had gave Grosjean a quite exciting moment as he lingered on the racing line, and having caught a glimpse of the flying Frenchman he jinked right, unfortunately the exact same direction Romain had chosen. Off into the grass went the HAAS driver, to the accompaniment of the Drivers Lament in the key of moan minor. It was Magnussen impeding Perez that was getting the attention as the teams got ready for their final go. With all the work to do were Wehrlein, Grosjean, Ericsson, Hartley and Magnussen. 2 minutes to go and back to the track they went, Wehrlein leading the way, then Kvyat and Vandoorne. Hartley to P15 first over the line, Wehrlein and Magnussen had messy laps, Vandoorne to P12!! Sainz, who'd gone out for a second bite was up to P5!! Stroll with an engine issue stayed P17 with Grosjean just making it into Q2, going P15. Off to the BBQ were Ericsson, Stroll, Hartley, Wehrlein and Magnussen, while the rest turned it around to vie for glory in Q2. Uh oh, Hulkenberg in the media pen says he's done for the day as well, despite a P9 during the first session. Strategy, given his looming grid penalty and expected qualifying placement. Off they went for Q2!! or not as is frequently the case. 45 seconds later, Mercedes was first to stick their front wing out, Hamilton leading the way, Bottas his tailgunner. A full lap later, Kvyat emerged from the pits as Lewis lit the track purple (pink?) let's say magenta. Behind him Bottas was cracking off personal bests as the track was filling rapidly, the rest of the runners eager to get their piece of tarmac. Bottas turned the tables in S2 as Lewis set the bar at 1:33.560 across the line. Valterri hit the line 0.233 seconds slower as it was Verstappen on the Supers, strategy for his 15 spot grid penalty no doubt. Ricciardo on the Ultras went P3 as the Ferraris took their sweet time to make their Q2 appearance. Embarrassingly, it was around 0.8 seconds slower for Vettel, which was not what they were wanting to see. P9 for Sainz, as the field retired to reset for the last tilt at the ultimate glory of Q3. Alonso, Vandoorne, Grosjean, Kvyat and Hulkenberg had it all to do as time ticked relentlessly off the clock. Mercedes look fast, but hardly nailed on and Ferrari seem utterly adrift as the vanishing point of Q3 approached. Back out, with Kvyat and Grosjean leading the way, even Mercedes and Ferrari choosing to participate. 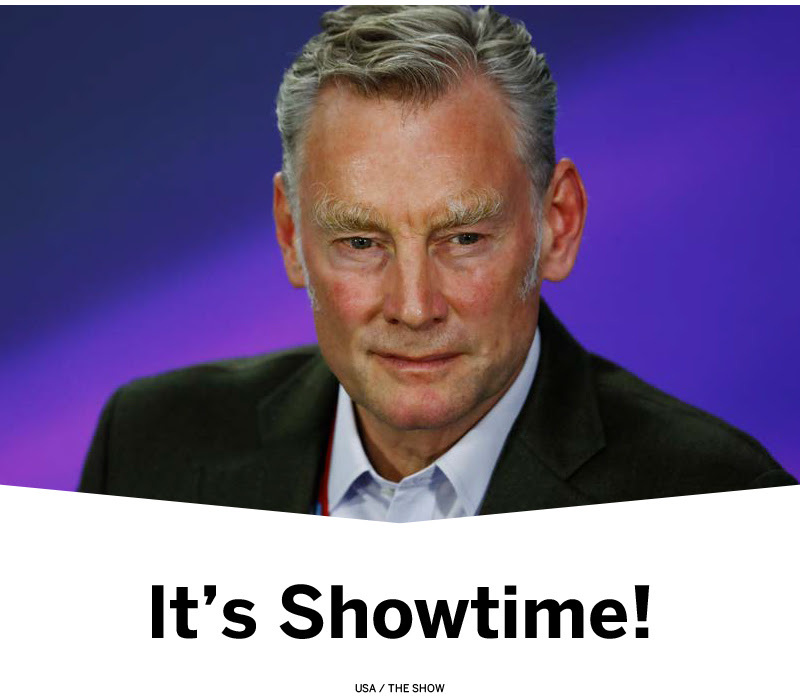 Only Red Bull spoiled the party, hanging about in the garage and staring at the timing screens. Under a minute to go and Sainz and the Ferraris headed for the line with Perez the last to go before the checquers fell. Kvyat P12, Grosjean P14 and then Alonso through the last corner to P7 to knock out Massa. Vandoorne P13 as Massa went P9 and sent Perez to the bubble. Sainz to P7 for a hot second till Perez took it away, dooming Massa to the ignominy of P11. And that was that, with Massa, Kvyat, Vandoorne, Grosjean and Hulkenberg off in search of Rip Your Face Off IPA whilst the rest turned it around to tilt for the ultimate prize. Alonso's pace was exemplary, but the gap to Vandoorne also was due to a new front wing, one that Stoffel did not have. Ocon, Hamilton, Bottas were the lead trio for Q3 with Alonso and Ricciardo playing a duet, trailing behind. Verstappen, Vettel, Perez and Raikkonen finished the ensemble and as they got things up to temperature, Ocon started the cascade of purples across the timing screen, before Hamilton took it away between turns 6 and 7. Bottas surpassed his effort as Lewis went purple for S2, a feat the Finn couldn't match. Bang, 1:33.108 and Hamilton had provisional pole as Raikkonen was looking fighty. P3 for Ricciardo till Vettel took it away. P3 for Kimi, and it was an ominous looking front row as the cars rolled back to the garage to get ready for their last shot at glory. Terrifyingly, Hamilton suffered a derate on his lap, meaning if Mercedes could get it sorted there was some time left for him to find on the last go round. Alonso led the way for the last run followed by Sainz and Ocon. Vettel then Ricciardo were next up, then Verstappen followed by a gap to Raikkonen. Hamilton and Bottas were set up to be the last across the line and it was Hamilton again with the purples in S1, already 0.25 up. Bottas bottled it however and Vettel improved, enough for P2. 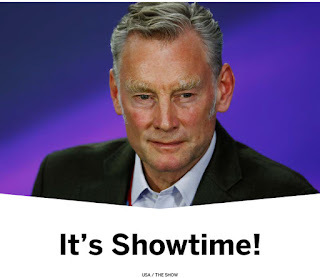 Ricciardo for P4, then Raikkonen and Verstappen. 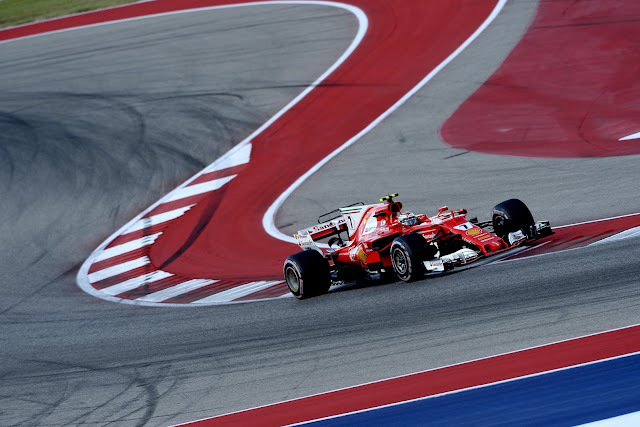 Bottas continued to go slower and it was a loss of 0.2 seconds over his penultimate lap, and Hamilton as well failed to improve. Not at all what Lewis wanted, but great news for everyone hoping to see something other than the battle for P10 on telly during the race. 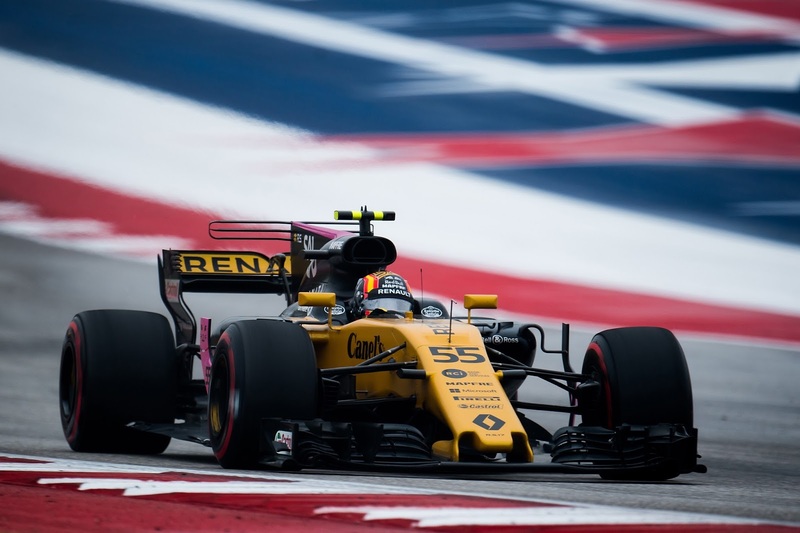 For the midfield battles it was Ocon, best of the rest, followed by Sainz, crushing his debut at Renault. Magnificently, Alonso managed to outqualify Perez and Ricciardo had the exact same time as Raikkonen, but because he set it first he got P4. Penalties for Verstappen, Hulkenberg, Vandoorne and Hartley also promise a bit of excitement no matter what happens at the sharp end. Still, T1 promises to be more than a little bit of fun tomorrow, but sadly the chance of rain seems to have gone the way of Palmer's career. Fortunately, however, the wind will be even gustier than today and it's far from a guarantee that Mercedes will ride off into the sunset.